WILLEMSTAD - The reconnection of the water supply of 324 households has been put on hold. This was decided by the interim government. The reason: authorities found out that many of these households have been stealing water from the grid for quite some time now. The 342 Aqualectra customers were chosen by the utility company and the Ministry of Social Development, Labor and Welfare (SOAW) because they are low-income families. 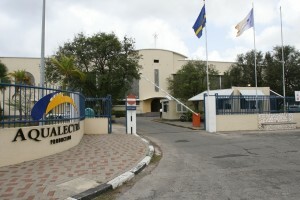 The government had instructed Aqualectra to connect the households again, but the utility company demanded payment of the outstanding bills first. The Ministry of SOAW subsequently paid the necessary 1.4 million guilders. At the beginning of the reconnection process, the company found out that of the first 50 customers, 47 of them had broken the seal and were, therefore, stealing water. “If a big part of these families chooses to steal water, we cannot accept that,” said interim Minister Lourdes Alberto.